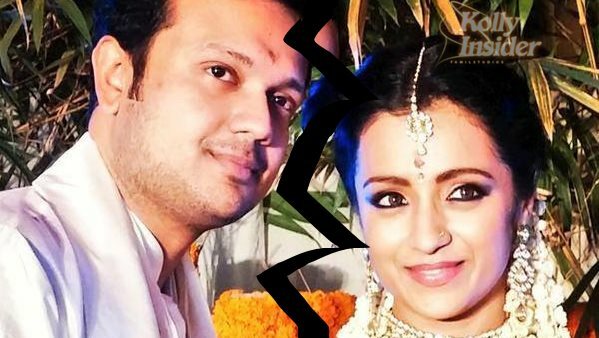 Varun Manian's dirty tweet... Trisha 'unfollow's Varun on twitter! Home » Trisha | Varun » Varun Manian's dirty tweet... Trisha 'unfollow's Varun on twitter! While there was a hot topic happening all over the towns about the split-up of producer Varun Manian and actress Trisha, but there is no official announcement or confirmation from either of them. It seems the latest twitter act by Varun proves that they are in no more relationship. Yes, on the birthday of Trisha, everyone expected that both of them would be posting some of their party pictures together or at least Trisha mentioning about the luxurious gift that Varun bestowed on her birthday. Trisha celebrating her birthday abroad with her girl gang and Varun Manian not wishing the actress on Twitter, makes it partly clear that they have called it splits. Nevertheless on a surprise level, nothing of this sort happened and what turned to be shocking were both Trisha and Varun Manian unfollowing each other on twitter. Varun Manian posted a tweet early in the morning referring someone to 'Disgusting and Flucey'. Though it was not quoted to a person directly, twitterati were clever enough to connect it with the latest happenings. Trisha un-followed him immediately and Varun deleted the tweet in no time. Apparently, the spectators were quick enough to capture the tweet before it went missing and busy observing the entire drama. Did he mean that tweet for Trisha? Is it an official break up now? Initially they were quite active on Twitter, re-tweeting each other's posts and thanking each other for gifts, but all that stopped from a while. Recently Trisha asked media not to shoot any personal questions in an obvious reference to her relation with Varun Manian. After watching the entire twitter episode, the news is almost confirmed that Trisha – Varun’s relation has ended with bitter note. Moreover, already there are some rumours that Rana Daggubati and Trisha have likely patched up again. On the other end, Trisha has been consistently signing up many films and her projects almost run into a dozen numbers that includes Kamal Haasan’s upcoming untitled film directed by his close assistant Rajesh.